← 15 Tax Planning Tips For The Self-Employed That You May Be Able To Utilise This Financial Year! 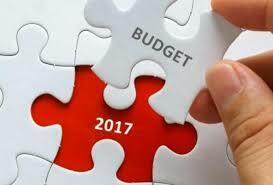 2017 Budget Summary – How it Affects Housing and how to take advantage of the changes! The long awaited 2017 budget has been announced with a variety of winners and losers. We’ve segmented the changes into Winners & Losers and also made comment on how to take immediate advantage where possible. For first home buyers a “First home super savers scheme” has been announced. This scheme allows first home owners to save for a deposit by salary sacrificing into their superannuation account – this must be over and above their compulsory super contribution. The same tax advantages to superannuation will apply. So, contributions and earnings will be taxed at 15% (instead of marginal tax rates) and withdrawals will be tax at marginal rates less 30 percentage points. A contribution limit of $30,000 in total and $15,000 per year will apply for each individual. So, if a couple is looking to buy a property, they can both save the maximum of $30,000 giving them a larger deposit. There is no need to establish a new superannuation account so salary sacrificed amount can just go into an existing superannuation account. Contributions can be made from 1 July 2017, and withdrawals will be allowed from 1 July 2018. Small win for 1st home buyers but most unlikely to help housing affordability in any way. The governments will increase the capital gains tax discount for residential investors who choose to invest in affordable housing. The discount will increase for 50% to 60% from 1 January 2018. To be eligible for the higher discount, housing must be provided to low-to moderate income tenants. Tenant eligibility will be based on household income thresholds and household composition. Rent must be provided at a discount below the private rental market price. The affordable housing must also be managed through a registered community housing provider and the investment held as affordable housing for a minimum period of three years. The additional discount will be pro-rated for periods where the property is not used for affordable housing purposes. The fine details of this policy have not yet been produced. There could be opportunities going forward and once the policy details are released, we’ll analyse and provide you with the details and whether opportunities will arise. The government will allow Managed Investment Trusts (MITs) to invest in affordable housing. This housing must be available for rent for at least 10 years. MIT’s allow investors to pool their funds to invest in passive investments and have them managed by a professional manager. The MIT will be able to acquire, construct or redevelop the property but must derive at least 80% of its assessable income from affordable housing. Qualifying housing must be provided to low-to-moderate income tenants, with rent charged at a discount below the private rental market rate. Tenant eligibility will be based on household income thresholds and household composition. The measure will apply from income years starting on or after 1 July. As with the Capital Gains Tax increase, the affordable housing must also be managed through a registered community housing provider and the investment held as affordable housing for a minimum period of three years. The additional discount will be pro-rated for periods where the property is not used for affordable housing purposes. If a person or group has an interest in a NRAS property, they are not eligible for the additional 10% discount until their NRAS contract has ended. Once again, the policy details have not been released. If you’d like to consider organising a group of investors together to establish an MIT for investment purposes and not sure how to go about it, contact us and we can explain how to do it. Retirees holding onto their family homes have been given a $300,000 incentive to sell under a federal budget plan to encourage older property owners to downsize. Home owners aged 65 and over selling a home they have lived in for 10 or more years will be able to make a non-concessional contribution of up to $300,000 into their superannuation from the proceeds of the sale. Both members of a couple are allowed to take advantage of this measure for the same home. Big win for retired downsizers! The $20,000 “instant” tax deduction on capital expenses for small business has been extended for another year. Originally this tax break was due to cease on the 1st July 2017 where it would drop back to a $1000 write off threshold. However, during last night’s budget, it was announced the $20,000 threshold would continue until the 1st July 2018. Deductions for travel expenses related to inspecting, maintaining or collecting rent for a residential rental property has now been disallowed. Deductions for plant and equipment in units (e.g fans, washing machine, dishwasher etc) will be limited. No longer will successive owners of a property be able to claim these expenses. Tip: When purchasing tell the vendor you don’t want their white goods and would prefer a discount off the purchase price. Purchase your own items as the depreciation claim is pretty generous on these items. Tip: Book that trip to inspect your investment property immediately..fly business class! !